It is very simple to keep your Apple laptop in tip top shape. 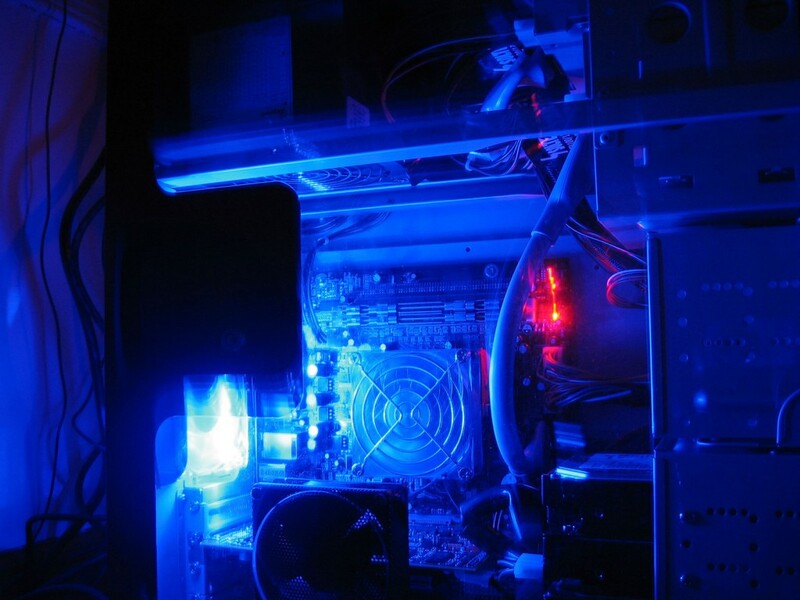 All it takes is a little TLC on the hardware and software sides. Read through this list of our best maintenance tips for your Mac. Case – The body of a MacBook is made of a single block of recyclable aluminum. This provides a rather solid enclosure to your laptop, but if you have butter fingers, you might want to keep a case around it too. We have recently discovered that the keyboards are part of the cooling system. Since then, we abstain from using any keyboard cover that could prevent the normal ventilation. Fragile Parts – You should definitely be aware that the most fragile parts of your laptops are the screen (also an expensive item to replace), the spinning hard-drive (although newer solid state drives tend to be more robust) and the tender cables of your power adapter. Transport – As tempting as it is to keep your computer open while you are moving around, I would strongly discourage the practice for two reasons. First, the above-mentioned SATA hard-drive spins while the computer is on and any bump could potentially cause defects on the drive itself (think of the needle of record players). Second, an open laptop is a lot less stable to carry around. Delicate Touch – Finally, this is my rule of thumb on how to be delicate with your laptop: when you place it on a surface, you should not hear a sound. If you hear a noise when you put your computer on your table, you probably drop it too hard. Fully charge your battery the first time before using your device. Batteries last for 5 years and can be used 1000 times before their capacity drops to 80%. Keep the electrons moving: don’t keep your laptop plugged in all the time, use its battery every day. How much you charge or discharge your battery doesn’t matter except when storing it for extended periods of time. When in storage, keep the batter at a 50% charge. Wi-Fi, Bluetooth and screen brightness affect your battery the most. You can find more advice about how to maximize battery performance on the Apple site. Energy Saver – Your battery should last you half a day, even more with the MacBook retina. However, you might want to shorten this a little by toning down the default energy savers settings. The original OS X options are very aggressive by default. They turn you screen off within a 2 minute window. Since putting your display to sleep will also disconnect your from the projector, this could affect your presentations. To change the amount of time before your screen goes black, go to System Preferences > Energy Saver and adjust the delay before your screen goes to sleep. Screen Lock – Additionally, you might want to change the settings under System Preferences > Security & Privacy > General and determine the delay after which a password will be required when your computer goes to sleep. If your computer goes to sleep after 30 minutes when on battery and you require a password 15 minutes after sleep, your computer will be locked 45 minutes after you leave it alone. H2O – Surprisingly, the special sprays that are available to clean your computer (or your glasses) can cause damage by removing the protective coating on our devices. Since we found this out (the hard way), we wipe all our computers, screen, keyboard, case and all, with a clothe dampened with water. Update, Everything, Often – To keep your computer purring, there are 3 simple steps to follow: 1. update, 2. update 3. update. Why so much? Most updates are released to fix bugs or security issues. Updating allows you to patch these issues. YouTube videos stop playing in Chrome? Update your browser by clicking on Chrome > About Software. Updating also allows to quickly plug the holes created by freshly found zero-day exploits. CCleaner – Spending half of your life in your browser leaves a trail of temporary files (cookies, cached files and more) which can disturb your online inner peace. If pages fail to load -especially when you try to login to a website- it might be time for you to launch CCleaner and spring clean your browsers. 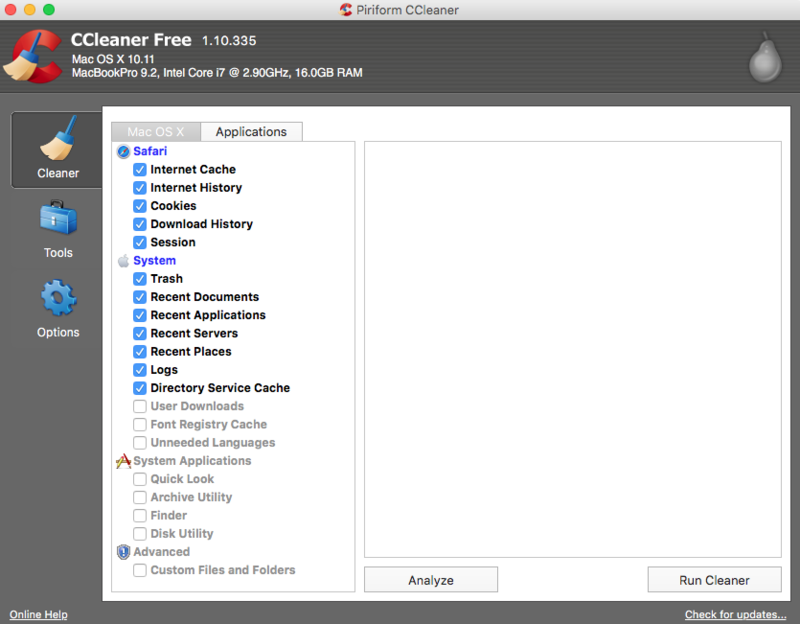 CCleaner does a more thorough job than simply clearing your browsing history. But be careful when you check those little boxes, as it is also able to delete the passwords that you -should not- have stored in your browser -anyway-. Malware Bytes – If you need to clean files that should not have made it into your computer in the first place, head over to our article on how to remove adware. Here is a summary of what you will find there: download, install and run Malware Bytes.